Nowadays, with an increasingly litigious society, a judicial system that favors plaintiffs and not defendants, with courts clogged with thousands of civil suits demanding huge sums, and increased asset seizure by governments, protecting your assets can be a daunting challenge. Corporations who are subject to product liability beyond insurance coverage limits, medical doctors and lawyers who could be exposed to malpractice lawsuits, contractors and construction companies or any person or company, may be subject to litigation and subsequent asset seizure. Asset protection is extremely indispensable to deal with adverse situations such as: divorce, frivolous lawsuits, bankruptcy or simply as a wealth planning tool. International trusts are one of the most robust means for asset protection and estate planning, which allow to put legal distance between the owner and his or her assets, separating legal ownership and economic ownership, providing an extra layer of protection. Trusts facilitate inheritance by reducing the effects of forced heirship rights or by ensuring that certain persons are protected while allowing the estate family to be maintained. Furthermore, trusts are an effective tool for separating personal assets from risks arising from business activities. Trusts can be used for commercial transactions, management of assets related to the payment of pensions by multinational corporations and to locate them overseas in a low tax jurisdiction or as vehicles for investment funds or to structure real estate investments, or even use them for charitable and public interest purposes. This article is for illustrative purposes, it is not, nor intends to be legal or tax advice. Before taking action, always speak with an attorney. We have access to a global network of attorneys and accountants worldwide and we can refer you to an expert in your relevant jurisdiction, who can give you the proper advice according to your specific circumstances. Trusts are legal contracts with an extensive use and application in common law jurisdictions. A trust is a legal relationship, not a separate legal entity, for which a person, settlor (also called trustor or grantor), transfers his or her assets, through an inter vivos act or mortis causa, to another person, trustee, who is entrusted with the legal ownership of the trust assets, not for his own benefit, but for the benefit of other persons, the beneficiaries, or for the benefit of a specific purpose. The assets constitute a separate fund and are not part of the trustee’s own estate. The trustee has the power and the duty, for which he is accountable, to manage, to use or dispose of the assets according to the terms of the trust and the special duties imposed by the law. The settlor (also known as grantor or trustor) is the person who creates the trust by placing certain assets that he or she owns into the trust. A settlor can create a trust by expressing the intention to create it. In most countries, formalities are not required to create an inter vivos living trust over personal property, but there are often formalities associated with trusts on real estate testamentary trusts. Establish certainty of intent – if the settlor has expressed intent to create a trust. Establish certainty of the matter – if the property identified as liquidated is identified with sufficient accuracy. Establish certainty of the objects – the beneficiaries or purposes must be clearly determinable within the established/allowed period of perpetuity. Depending on the jurisdiction and the terms in which the trust has been established, the settlor may also be determined as a beneficiary and reserve powers to be able to control the trust. The settlor can be an individual person or a corporate body. In the trust deed, there are stated the instructions of the settlor on how the trust must be arranged, the assets used or managed and to whom or to which has to benefit. The trust instrument will generally provide that the trustee has the power to manage the assets of the trust in accordance with the terms of the deed and the strict duties imposed on the trustee under the charter. The trust deed will also contain a wide range of administrative powers designed to facilitate its administration by the trustees. These powers must be carefully drafted and agreed before the trust deed can be concluded. Defend the trust against settlor and beneficiaries’ creditors. Perform or manage investments appropriately. Be responsible to all beneficiaries, keep them informed and act in their best interest. Do not benefit from transactions. The trustee may be an individual, such as a relative, a trusted friend or counselor, a trusted banker or professional, a private trust company, or a public trust company. A public trust company is a body licensed by the authorities of a jurisdiction to act as a trustee, while a private company might not be subject to license. The trust deed will provide the terms for the removal of the trustees and the appointment of new ones. This power will often be conferred on persons named or described successively. Usually, it is possible to appoint a protector, who will monitor whether the obligations of the trustee in the terms established in the trust deed have strictly complied. The appointment of a protector and the provisions for the removal and appointment of the successor protectors will be set forth in the deed of the trust. The appointment of a protector can facilitate checks and balances, particularly when the settlor needs to be removed from the trust. In many cases, the protector is usually a close friend or professional adviser to the settlor, who is familiar with his or her wishes, the circumstances and needs of the beneficiaries and with the family background and dynamics. The protector can be an individual or a committee, a combination of individuals, or a corporation. The powers and duties of a protector may vary from case to case, but usually, the protector will have the power to appoint and remove the trustees and, in some cases, change the terms of the deed governing the trust. It is possible to set a clause so that the trustees must obtain the consent of the protector before exercising certain powers. The beneficiaries are those who receive the return of assets transferred to the trust. 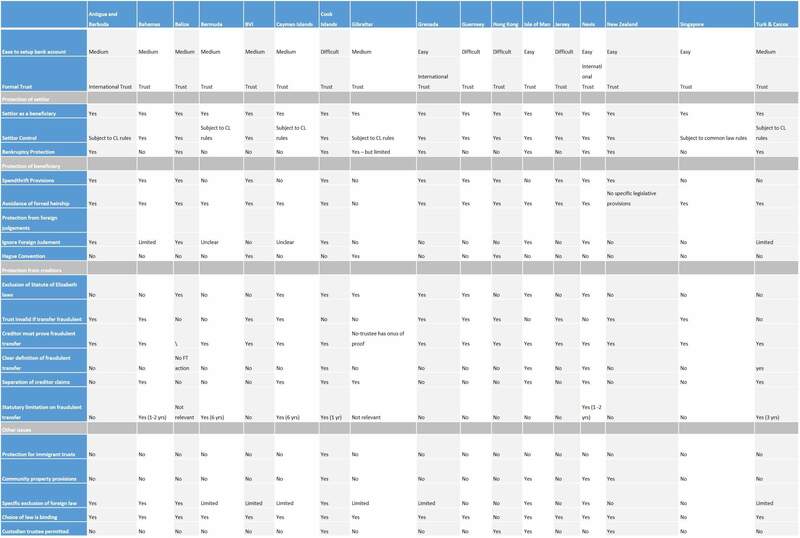 These can be specifically named or can be referred by the class on a schedule in the deed. Usually, the settlor can also be appointed as beneficiary. It may be possible to elaborate the terms of the trust so that the beneficiaries cannot have any control and/or information on the assets transferred to the trust. To prevent beneficiaries from draining the trust of their assets, and spending in a thrifty way, as we will see below. Trusts can be established for the benefit of individuals and/or corporate bodies and/or purposes. The deed of trust may be expressed as irrevocable or may include a provision that grants a power of revocation or amendment to any person (usually the settlor). Trusts may be revoked at any time with the terms set forth by the settlor, or they may have a predetermined life without provisions for revocability and only conclude when certain terms established in the deed of trust are met. 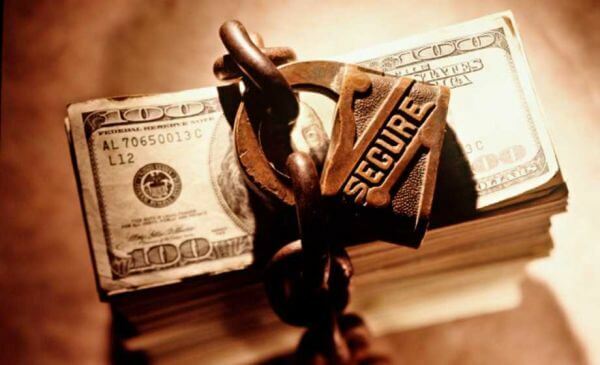 In the case of trusts for asset protection, these are usually established as irrevocable. In the event that a creditor wins a lawsuit to the settlor, if he has revocation powers, the judge may force him to change the terms of the trust to benefit the creditor. In the case of an irrevocable trust, the settlor has limited powers to amend the trust. In a discretionary trust, the settlor does not set the fixed beneficiaries or their interest amounts on the trust. The deed of trust grants broad powers to the trustees that allow them to decide, at their discretion, to distribute income or capital to the beneficiaries. In a discretionary trust, none of the beneficiaries has a legally enforceable right to any part of the property of the trust. A discretionary trust provides flexibility by allowing trustees, when distributing earnings and assets, to consider factors that were not anticipated at the time of its creation and to act in a protective manner with respect to the beneficiaries. Protecting the beneficiaries of a spendthrift, the claims of the creditors or the influence of those who could try to take advantage of their vulnerability. In addition, since none of the beneficiaries has an interest or legally enforceable right in any part of the trust fund, discretionary trusts might have beneficial tax consequences in the country of domicile, residence or citizenship of the beneficiary. In a discretionary trust, the settlor generally expresses his wishes regarding its administration and the distribution of assets to the beneficiaries through a letter of wishes or a privileged client/attorney memorandum so that the trustees are aware of his or her intentions. In this type of trusts, the settlor relinquishes a lot of authority over the trust to a trustee, this is why it is required a careful selection of a competent and reputable trustee or trustee company with good references. With a dignified reputation and the necessary experience to faithfully meet and honor the terms of the deed. By contrast, fixed trusts allow the settlor to control money and property for the benefit of the beneficiaries. The beneficiaries of a fixed trust receive the property at a specific time set by the settlor. The trustee of a fixed trust has little or no discretion to distribute funds. Typically, fixed trusts are established for estate planning or life interest. By which an individual will be entitled to all the income during his or her lifetime. In the death of the settlor, the property will generally be paid to the named beneficiaries. 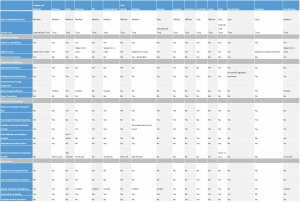 The settlor can also choose multiple beneficiaries and provide a fixed benefit or percentage for each of their beneficiaries. Trusts may be established as a hybrid, combining the fixed life interest with discretionary power for the trustee, to create other interests that may override or follow the fixed interest. Trusts can be established allowing the settlor to transfer assets to the trust while at the same time retaining a beneficial interest. As long as the terms of the deed are carefully written, creditors may find it difficult to penetrate the wall built around the assets. On the other hand, they can also be established exclusively for the benefit of third parties. Instead of for the benefit of individuals, a trust can be established for the benefit of a specific purpose, without having verifiable beneficiaries. Generally, the deed will appoint an enforcer, who has a similar role to that of the protector. 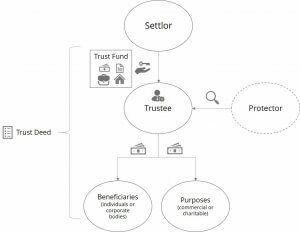 For those seeking a neutral party in a business transaction network, the purpose trust, in combination with a fully owned trust, provides a further layer of asset protection, while allowing “off balance” transactions or as an “orphan” structure in relation to its settlor. Purpose Trusts are used in conjunction with asset finance transactions, securitizations, and private trust companies. In its commercial function, the trust is established in order to acquire and maintain the shares of a company, which participates in certain transactions. Purpose trusts are also attractive when used in tandem with private trust companies. Once again, their insulation qualities come into play, providing the opportunity to separate the settlor from the company’s property, and the company acts as trustee of a family trust. While in turn the company could be managed by the settlor as director or manager. This allows the owner to have complete control of the business or assets, without being its legal owner. A number of offshore jurisdictions (notably the Cayman Islands, with STAR trusts, and the British Virgin Islands, with VISTA trusts) have created special forms of trust that may be expressly settled without imposing an obligation of the trustees to interfere in the company management. The trust used to be a valuable tax and asset planning tool, where the settlor, by transferring assets to trustees located in low tax jurisdictions, could mitigate the high tax burden in their country of residence. Although legislative measures in the United States, Canada, the United Kingdom and other countries have progressively reduced these tax mitigation opportunities, a trust continues to be an attractive vehicle in terms of estate planning to avoid in certain cases taxes on inheritance and wealth, as well as taxes on capital gains, which might be minimized by transferring assets in a trust. When the settlor dies, there is no change in the ownership of the assets, as they legally belong to the trustee, thus avoiding the need to legalize a will with respect to the assets of the trust. With a trust, certain persons entitled by law may be prevented from receiving a copy of the will. A trust deed is a private document and can keep the information confidential. It is common to replace wills with a trust. The use of a trust can also avoid the difficulties involved in inheritances in one country in a will executed in another, which can be a complex and time-consuming process and can add to the anguish of grieving relatives. In addition, it can avoid legal battles initiated by someone who feels they were unfairly treated in their will and that the will be changed. A properly drafted trust can be a wall, so the will cannot be modified. In some countries, there are fixed inheritance laws, where inheritances must be equally distributed among the descendants. In these cases, foreign trusts can avoid forced heirship, and obtain flexibility in terms of distribution of part or all of the assets to beneficiaries. Trusts can be used to hold specific assets such as land or an interest in a family business, which would not be appropriate or practical to be split between individuals. The use of a trust allows these individuals to benefit from the assets even though they do not own them. A trust will also help maintain the whole capital value of such assets for future generations. Foreign trusts may also be established by corporations for employee benefits (including share schemes) and retirement benefit plans, the employer as the settlor, and employees and their dependents as beneficiaries. They can also be used as vehicles to own other entities or structures. This can help maximize the efficiency of planning and control of interrelated entities while maintaining confidentiality and protecting beneficiary owners. Trusts can be useful to protect beneficiaries, in case of inability to manage money. This can be achieved by establishing a trust with a trustee who can only distribute funds to beneficiaries for causes specifically articulated in the trust deed. Trusts can be created exclusively for privacy. Trusts are private documents and usually no need to be registered, so they are an additional layer of confidentiality over the real ownership of the assets. For instance, as we have seen previously, the terms of a will that may be public and the terms of a trust are not. Trusts can also be set up as an investment vehicle, usually in properties, securities, mortgages and cash equivalents, known as a Unit Trust. The Unit Trust consists of a structure of unincorporated mutual funds that are more flexible, allowing to maintain assets and provide benefits directly to the owners of individual units rather than reinvesting them back into the fund. The investor is effectively the beneficiary under the trust. A charitable trust is normally an irrevocable purpose trust established for charitable purposes. A charitable trust benefits from several tax breaks in most countries. Asset Protection Trusts are a powerful tool to place assets out of the reach of creditors and provide substantial protection against unpleasant scrutiny, bankruptcy and litigation. 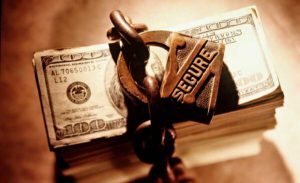 Usually, asset protection trusts are established as irrevocable, with an independent trustee, distributions of earnings subject to the trustee’s discretion and with a spendthrift clause. Establishing a foreign trust may add a layer of protection. Certain jurisdictions have a strong law with significant obstacles to creditors trying to reach assets held in a foreign trust. Having to overcome a complicated and long process. The foreign trust is governed by the laws of the foreign country, and these laws may not be favorable to the creditor. A foreign jurisdiction may not recognize a judgment from a court in another country. In addition, the laws of the foreign country may not allow contingency legal fees and the creditor will have to pay a local attorney of the foreign country to litigate the claim. In addition to the risk that the unsuccessful creditor will have to pay their own foreign legal fees, plus the legal fees of the prevailing party. A judge has the right to issue court orders to the national trustees. That privilege is not granted to members of the local judiciary for foreign trusts. The trustee in a foreign jurisdiction is not required to comply with a foreign court order. It should be borne in mind that if the assets are located in the national territory, such as real estate, businesses and personal property, a judge may have jurisdiction over these assets, even if these are held in a foreign trust. As well as in bank accounts in financial institutions that have corresponding branches in the country of residence of the settlor. Courts can assert their jurisdiction over any property located within the national territory. Therefore, it is recommended that none of the assets transferred to the trust to be within the borders of the settlor’s country of residence. However, if the trust is in a foreign jurisdiction and the assets are in a foreign bank account or foreign jurisdiction, a duly drafted trust deed will be a powerful tool for asset protection. Anti-Duress Clause. As soon as this clause is invoked, the trustee shall not make a distribution if the settlor or beneficiary is under a claim, or is involved in a judgment against him. This prevents the creditor from filing a claim against the assets of the trust without obtaining a new judgment in the foreign jurisdiction. Trust Protector Clause. This clause designates a protector and allows him to remove the trustee and, in some cases, veto some or all of the trustee’s actions. Flight clause. This clause allows the trustee to move the trust to another jurisdiction. In the event that the creditor files a claim in the jurisdiction where the trust is established, the trust may be moved to another jurisdiction, so the creditor would have to start again by filing a suit in the new jurisdiction. The clause of choice of law. This clause mandates that the trust is governed by the laws of the jurisdiction in which it is located. Thus, when a foreign court orders the settlor/beneficiary to compel a distribution, he or she can invoke what is termed as the impossibility defense because of certain clauses contained in the trust. An asset protection trust should prevent the settlor from being the protector or a trustee, they should be independent, and it is advisable that they do not reside in the same jurisdiction as the settlor. This prevents a judge from concluding that the settlor has the ability to control the trust and therefore the ability to force a distribution. Also in the case of a judgment, the settlor should avoid communicating it personally to the foreign trustee to avoid not being accused of personally execute the anti-duress clause. Establishing a foreign trust requires in-depth research and assistance from the appropriate and experienced advisors who can realistically and honestly assess the objectives and intentions of the settlor, the solutions most suited to their needs, as well as optimal management of transferred assets. Can the settlor (the grantor) also receive trust assets? Are there mechanisms for the depositor to retain control of the trust? Is there any protection against a subsequent bankruptcy after the assets are transferred to the trust? Are there specific provisions to prevent beneficiaries from draining the trust of their assets, and spending in a thrifty way? Is there an ability to avoid forced heirship? Are there specific provisions within the trust to ignore foreign judgments? Is the Hague Convention applicable? The Hague Trust Convention is a multilateral treaty developed by the Hague Conference on Private International Law on the Law Applicable to Trusts. The Convention aims to harmonize not only the municipal law definitions of a trust but also the Conflict rules for resolving problems in the choice of the lex causae. Is there an exclusion of the statute of Elizabeth laws? The statute of Elizabeth is an important provision in a 1571 English law, under such legislation it is sometimes possible to set aside transfers into trust even if the settlor transferred the property many years before the debt arose and, at the time of making the transfer, had no indication that the particular debt would arise in the future. Will the trust be declared invalid if a fraudulent transfer is proven? Should the creditor prove the fraudulent transfer? Is there a clear definition of a fraudulent transfer in the law? Is there a separation of creditor claims or can they be brought jointly? Is there a statute of limitations on the fraudulent transfer? Are there retroactive protections for immigrant trusts? When community property is transferred to a trust, the property of that property would be lost. However, is there a possibility to retain its characteristic community property notwithstanding that it has been transferred to the trust? Is there a specific exclusion in the legislation to be able to exclude foreign law? Are Trusts subject to the rule against perpetuities which, in practical terms, puts limits on the length of time within which all trust property must be distributed? Is the choice of law binding? Is a custodian trustee permitted? Furthermore, must be considered the ease to set up a bank account to deposit cash assets, political, economic, and social stability of the jurisdiction, the jurisdiction’s reputation, tax laws of the jurisdiction, whether language barriers exist and whether the jurisdiction offers adequate legal, accounting, and financial services. 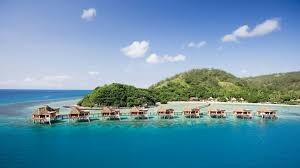 The Cook Islands was one of the first jurisdictions to enact an explicit asset protection and international trusts law, being one of the most popular for such matters. Trust laws in the Cook Islands limit fraudulent transfer claims for 2 years and in some circumstances, it may be less than one year. If the assets are transferred in a period in which the settlor is solvent, the transfer of funds cannot be set aside. The legal provisions in force also establish certain conditions for a person to be able to be considered as creditor and able to file a lawsuit before a court in the Cook Islands. These provisions raise the burden of proof beyond reasonable doubt, for such reason, confidentiality laws prohibit the disclosure of banking information, except if there is the consent of the client. The Government of the Cook Islands requires compliance with certain provisions that must be met in order to ensure the honesty and integrity of the funds transferred to the rust. Therefore, the assets that make up the trust cannot come from the exercise of illegal and fraudulent activities such as drug trafficking and money laundering. Foreign judgments are not enforceable. If any person wants to file suit against the trust, he must hire an attorney in the Cook Islands to initiate the action, which is subject to strict compliance with requirements for him to proceed. The settlor can maintain control over the trust and its property if it so provides. The law specifies that fraudulent transfers are understood to require compliance with requirements to be assessed by a court. The trust cannot be affected by the rules regarding heirs or spendthrift beneficiaries in the settlor’s jurisdiction. Trusts may hold shares in underlying companies, without concern about the financial benefits of retaining such shares. Likewise, in relation to the foregoing, the ability of the settlor to supervise and intervene in the affairs of an underlying company may be limited. Nevis has one of the most robust legislation in terms of asset protection. An asset transfer can only be set aside by factual evidence of actual fraud. The general statute of limitations in Nevis for fraudulent transfers to the trust is two years. Nevis does not recognize a foreign judgment. The creditor must file a new claim in Nevis and prove the actual fraud in the new case there. Furthermore, the creditor must hire a lawyer licensed in Nevis, and post a $25,000 bond to file the lawsuit. Once the new litigation is filed in Nevis, the creditor must prove the actual fraud by a “beyond a reasonable doubt” standard, stating that there is a probability of more than 90 percent that his allegations are true. Spendthrift provisions are valid and enforceable. This clause is one that essentially blocks a creditor from attacking the assets of the beneficiary’s trust. Elizabeth’s statute is invalidated in Article 49 of the Trusts Act of Nevis. The law protects the confidentiality of information for a trust legally registered in Nevis. A Trust established under the Special Trust (Alternative Regime) Act 1997, is a form of legal trust for the benefit of persons, purposes (charitable and non-charitable) or both. STAR Trusts have an Enforcer, which executes the STAR Trust, and causes a separation between benefitting from Trust assets and being responsible for the application of the Trust. 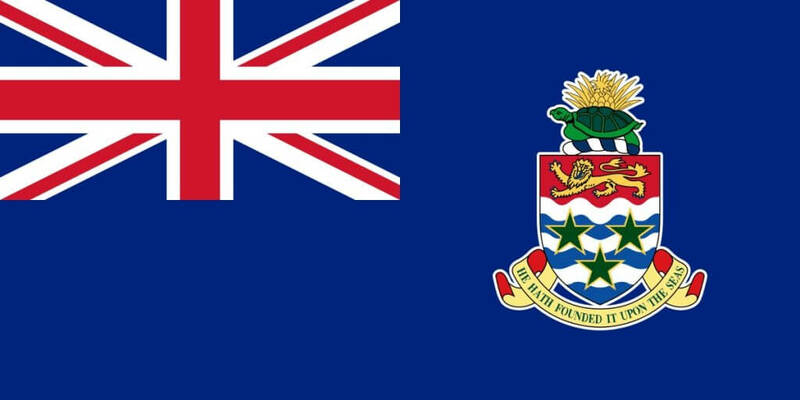 As for trustees, it is required to appoint at least one licensed in the Cayman Islands. STAR Trusts can be established for an unlimited period of time, is an effective way to create private perpetual family trusts. They are also commonly used as Trustees of a Private Trust Company. The STAR Trust is established to hold shares in a Cayman Islands Private Trust Company, assuring that it performs its role as trustee of a trust or series of related trusts. This structure can be used even when the trusts are not all within the same jurisdiction. For instance, a single STAR Trust may own shares in a Private trust company, and it may act as a trustee in the Cayman Islands or in other jurisdictions. It is also common for a business owner to use a STAR Trust to run a family business, making sure the business continues to operate after the owner’s death. The STAR Trust may be the holder of such shares for the purpose of allowing directors to continue to manage the business for a designated period of time. STAR Trusts also serve as a vehicle for limiting the information that beneficiaries can access. Unlike ordinary trusts, where beneficiaries may have the right to access a great deal of information in connection with the trust. With a properly drafted STAR trust, those rights may be restricted or even eliminated. The execution of the trust and rights associated with the information are held by the Enforcer. STAR Trusts are often used as an SPV (Special purpose vehicle) in structured finance and other transactions. 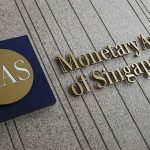 They allow the structuring of off-balance/bankrupt transactions, since the STAR Trust entity may not be connected to the original parties of the transaction. In addition, STAR Trusts provide flexibility to carry out philanthropic donations, where the settlor’s requirements are outside Cayman Islands’ limited definition of what is and are not charitable. 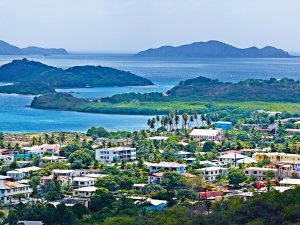 Trusts established in the British Virgin Islands under the Virgin Islands Special Trusts Act 2003 (Amended 2013) are specifically designed to hold shares of a corporation incorporated in BVI. The owner establishes a trust consisting of the shares of his company under which can be held indefinitely. The trustee’s supervision and intervention obligations under the general law are eliminated and discharged of all management responsibility in the company, which can be carried out by the directors without interference in the affairs of the company by the trustee. The trustee has a statutory duty to retain the designated shares, which are the object of the VISTA trust and any duty to preserve or improve the value of the trust fund will be subordinated to this obligation. However, its powers are limited to dispose of the actions in the circumstances expressed by the terms of the trust deed, not being able to intervene in the management of the company except to solve specific problems and only in a prescribed number of circumstances that must be stated expressly in the deed. The deed specifies the rules of the “Office of the Director” that establishes how the trustee must exercise his voting powers regarding the appointment, removal and remuneration of the directors. Although the VISTA regime is strictly limited to a trustee who holds shares only in a company incorporated into BVI, the underlying company may retain ownership of any other type of assets. VISTA trusts are allowed to have more than one trustee, but at least one of them must be a designated trustee which is defined by the Act as a trustee licensed to carry out trust business in the BVI under the Banks and Trust Companies Act, 1990. VISTA reduces the level of risk faced by the trustee who will be more inclined to hold high-risk assets and enter into speculative transactions as their obligation to monitor and manage the trust funds or intervene in highly complex financial transactions and any liability for any resultant losses for its failure to do so is removed by the VISTA Act. The VISTA Act removes the trustee’s obligation from the prudent investor and the trustee has no obligation to oversee the management of the underlying company. Usually, when a trust is established in a foreign jurisdiction there may not be local taxes applicable to the assets and income of the trust, provided that no residents of the jurisdiction benefit from the trust and no assets are located there. It must be noted that the choice of law of the trust would not be applicable to tax matters, which would be governed by the respective jurisdiction where the settlor, beneficiaries, assets or trustee are located, as applicable. You should consult with your tax advisor or accountant to know the tax implications in your jurisdiction of residence when establishing a foreign trust, transfer assets to it and receive profits from said assets. For instance, in the United States, the IRS may consider that a settlor having an interest in the funds belonging to the trust cannot be understood as a separate entity and therefore, the settlor has the obligation to report said assets in the tax return (IRS form 1040). Contributions to a trust can reduce exemption from unified gift tax unless it is taken advantage of the annual donation tax exclusion. Furthermore, for the creation or transfer of money to a foreign trust, to receive directly or indirectly any distribution or to receive gifts or legacies from foreign entities, you will be required to file the IRS Form 3520. US citizens are taxed on their worldwide income. This means that the beneficiary may be taxed on all income of the trust, even if it is not distributed. Generally, a foreign trust is not a vehicle for a resident of the United States, to avoid US income tax. In addition, consider that in accordance with the appreciation in the value of the assets of the trust, this can be treated as a taxable gain. Although the trust may be structured in a way to legally avoid that. Also, consider that Trusts are institutions with use and application in common law legal systems. The civil law system does not recognize, in general terms, a difference between formal and beneficial ownership while the common law does. In Civil law countries, that have not signed The Hague Convention on Trusts, trusts might be disregarded, therefore any transfer made by the settlor to the trust would be considered as not carried out from a tax perspective, and the settlor might continue to be the owner of the assets transferred. In summary, offshore trusts are powerful tools for both estate and succession planning, as investment vehicles, corporate structuring and asset protection, among others. But this option should be approached with caution, and with the appropriate professional advice. A trust will serve you to protect your assets from being used for a purpose other than what you had in mind for them. It can protect your wealth beyond the reach of frivolous claimants, creditors, ex-spouses and even yourself. It is always best to establish the trust before that any legal action will be taken against you. Asset protection trusts are ideal for corporations who are subject to product liability beyond insurance coverage limits, medical doctors and lawyers who could be exposed to malpractice suits, contractors and construction companies or any person or company who has assets that may be subject to litigation and subsequent seizure. Be extremely careful and consult with an attorney, along with a financial planner or accountant before considering the use of an offshore trust and to structure it correctly. At Flag Theory, with our global network of attorneys and advisors, we can assist you to determine whether it is suitable or not to form a trust or consider other options, as well as where to establish it and its terms according to your specific needs, circumstances and goals. Apply now for a free 30-minute private consultation call and start your journey towards more freedom, privacy and wealth.